We never know when an earthquake will hit China, a cyclone devastate Myanmar or a tornado hit the United States. When disaster strikes, members of Presbyterian Disaster Assistance are often the first ‘on the ground’ to help. Through our giving to the denomination’s One Great Hour of Sharing offering and a line item in our annual budget, we support Presbyterian Disaster Assistance so that when emergencies arise our church can help dispatch the first Presbyterian responders. We are excited to announce that our Mission Market will be returning for 2017. In the past, our church partnered with Ten Thousand Villages to bring fair trade crafts to our market, however Ten Thousand Villages discontinued this program. We are pleased to introduce you to our new partner, Servv, a nonprofit, fair trade organization dedicated to lifting disadvantaged artisans, farmers, and their families out of poverty. Please find more information about Servv and their programs below. Behind every basket, tunic and necklace that we offer, you’ll find a story of positive change. A story of an empowered artisan or farmer who works in a safe environment, can send his or her children to school, and can save for the future with the reliable income he or she earns through fair trade. We partner with 55 small-scale artisan/farmer organizations and cooperatives to bring you unique, handcrafted product collections. We emphasize the word “partnership” in our work because that’s what these relationships are–we’ve created a system of creative collaboration built on mutual respect and trust, creating high-quality and well-designed items using sustainable materials and production techniques. Some of these partnerships have lasted for over 35 years! In our world today, handcraft production is the second largest form of employment behind agriculture. Many small-scale artisans in developing countries lack access to markets, business skills and tools needed to grow. Through our nonprofit mission and deep commitment to fair trade principles, we are dedicated to not only sell our partners’ products but to develop educational offerings, skill trainings, resources, and more to help grow sustainable businesses. Prepayments are always offered for orders, reasonable production timelines are agreed upon, and we provide grants so artisans can expand and provide more jobs in their communities. And of course, we pay a fair wage. In 2009 after a member participated in a WorldHope Corps clean water project in Malawi, our church decided to sponsor a deep bore-hole well through voluntary gifts of loose change. In this manner we could supply a well in the next four years for our Malawian brothers and sisters. With God’s help our church was able to raise $10,000 in 23 months! In December 2012, more than 12,000 Malawians shouted and danced with joy and thanksgiving as clean safe water was drunk from their new deep bore-hole well! More recently, our congregation donated funds again to provide a generator for a well for another community! 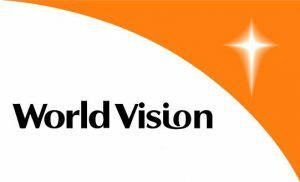 World Vision is an international partnership of Christians whose mission is to follow our Lord and Savior Jesus Christ in working with the poor and oppressed to promote human transformation, seek justice, and bear witness to the good news of the Kingdom of God. Our congregation gave a gift of 13 farm animals to a village in 2016. Water is precious, and so is human dignity. Your right to water needs defending. DIGDEEP’s logo is also a shield. Their access and education projects ensure that all people have the clean water they need to live free, meaningful lives. Human rights are collaborative; we can’t defend them on our own. The center represents the place where DIGDEEP’s volunteers, donors, partners and staff come together to change the way people think about water. In 2016, our church donated funds to outfit a new water truck and hire a driver for the Navajo Water Project. Dan West was a farmer from the American Midwest and member of the Church of the Brethren who went to the front lines of the Spanish Civil War as an aid worker. His mission was to provide relief, but he soon discovered the meager single cup of milk rationed to the weary refugees once a day was not enough. And then he had a thought: What if they had not a cup, but a cow? 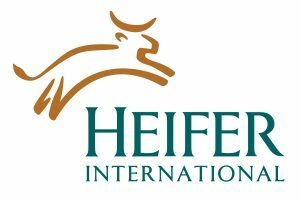 That “teach a man to fish” philosophy is what drove West to found Heifer International. And now, nearly 70 years later, that philosophy still inspires their work to end world hunger and poverty throughout the world once and for all. Each year, our Sunday School children raise funds to buy a cow for a village.